Nine Swedish national registries were used for the study and records were linked using the Personal Identity Number. Hundar, Katter och andra sällskapsdjur. Report from Statistics Sweden. http://www.skk.se/Global/Dokument/Om-SKK/SCB-undersokning-Hundar-katter-och-andra-sallskapsdjur-2012.pdf. Accessed May 15, 2015. Yearbook of Agricultural Statistics: including food statistics. Statistics Sweden, http://webbutiken.jordbruksverket.se/sv/artiklar/jo01br1401.html. June 26, 2014. Accessed March 1, 2015. Importance The association between early exposure to animals and childhood asthma is not clear, and previous studies have yielded contradictory results. Objective To determine whether exposure to dogs and farm animals confers a risk of asthma. Design, Setting and Participants In a nationwide cohort study, the association between early exposure to dogs and farm animals and the risk of asthma was evaluated and included all children born in Sweden from January 1, 2001, to December 31, 2010 (N = 1 011 051), using registry data on dog and farm registration, asthma medication, diagnosis, and confounders for parents and their children. The association was assessed as the odds ratio (OR) for a current diagnosis of asthma at age 6 years for school-aged children and as the hazard ratio (HR) for incident asthma at ages 1 to 5 years for preschool-aged children. Data were analyzed from January 1, 2007, to September 30, 2012. Exposures Living with a dog or farm animal. Main Outcomes and Measures Childhood asthma diagnosis and medication used. Results Of the 1 011 051 children born during the study period, 376 638 preschool-aged (53 460 [14.2%] exposed to dogs and 1729 [0.5%] exposed to farm animals) and 276 298 school-aged children (22 629 [8.2%] exposed to dogs and 958 [0.3%] exposed to farm animals) were included in the analyses. Of these, 18 799 children (5.0%) in the preschool-aged children’s cohort experienced an asthmatic event before baseline, and 28 511 cases of asthma and 906 071 years at risk were recorded during follow-up (incidence rate, 3.1 cases per 1000 years at risk). In the school-aged children’s cohort, 11 585 children (4.2%) experienced an asthmatic event during the seventh year of life. Dog exposure during the first year of life was associated with a decreased risk of asthma in school-aged children (OR, 0.87; 95% CI, 0.81-0.93) and in preschool-aged children 3 years or older (HR, 0.90; 95% CI, 0.83-0.99) but not in children younger than 3 years (HR, 1.03; 95% CI, 1.00-1.07). Results were comparable when analyzing only first-born children. Farm animal exposure was associated with a reduced risk of asthma in both school-aged children and preschool-aged children (OR, 0.48; 95% CI, 0.31-0.76, and HR, 0.69; 95% CI, 0.56-0.84), respectively. Conclusions and Relevance In this study, the data support the hypothesis that exposure to dogs and farm animals during the first year of life reduces the risk of asthma in children at age 6 years. This information might be helpful in decision making for families and physicians on the appropriateness and timing of early animal exposure. Despite earlier efforts, the association between early exposure to animals and subsequent risk for asthma and allergic disease is still unclear. The reported associations, based on smaller case-control studies, birth cohorts, and meta-analyses of such studies, tend to vary with exposure measurement and timing, age structure of the study population, and the specific outcome definitions. 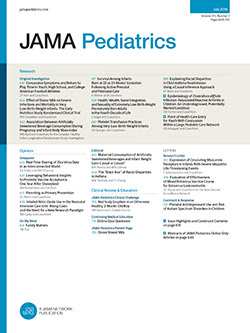 Systematic reviews and meta-analyses have been contradictory.3-6 Several studies suggest that early childhood exposure to pets is associated with an approximate 50% reduced risk of asthma in school-aged children7-9 as well as in children of high-risk families who may avoid pets,10 but conflicting results have also been reported.11,12 More consistent are findings of an inverse association between exposure to farm environment and childhood asthma; a meta-analysis13 suggested a 25% lower asthma prevalence among children exposed to a farm environment than among nonexposed children. Similar mechanisms might underlie the associations linking pet and farm environment exposure to childhood asthma. Both children living in a farm environment and children with dog contact are subjected to elevated amounts and diversity of microorganisms and endotoxins; such exposures have the potential to influence the risk of asthma as well as the burden of infectious disease.14 Respiratory tract infections are often associated with childhood asthma, yet, to our knowledge, their association with dog exposure has not been evaluated. The objective of this study was to assess the association between dog and farm animal exposure with childhood asthma in a nationwide, registry-based cohort study. We thoroughly addressed potential confounders and explored respiratory tract infections as secondary outcomes. A large, register-based study was undertaken to assess the association of early exposure to dogs and farm animals with childhood asthma. Dog exposure during the first year of life was associated with a decreased risk of asthma in school-aged children (odds ratio [OR], 0.87 [95% CI, 0.81-0.93]). Farm animal exposure was associated with a reduced risk of asthma in both school-aged children and preschool-aged children (OR, 0.48 [95% CI, 0.31-0.76]; and hazard ratio, 0.69 [95% CI, 0.56-0.84]), respectively. Results were consistent for first-born children, among parents with and without asthma, and across different register-based definitions of asthma. This cohort study included all children born in Sweden from January 1, 2001, through December 31, 2010 (N = 1 011 051), identified through linkage of the Swedish Register of the Total Population and the Medical Birth Register (Figure). Use of the personal identity number, a unique identifier assigned to all Swedish residents, allowed record linkage across several nationwide registers, including the Multi-generation Register and the Longitudinal Integration Database for Health Insurance and Labour Market Studies (LISA). The regional ethical board in Stockholm, Sweden, approved this study and allowed the researchers to waive the requirement for obtaining informed consent or parental permission. All data were deidentified by registry holders before delivery to researchers. We aimed to study the association between early dog exposure and current asthma in 6-year-old children and incident asthma in preschool-aged children. We would have followed the same cohort to evaluate both incident asthma in early years and prevalent asthma in school-aged children; however, this was not possible owing to coverage of the Prescribed Drug Register that started in July 2005. We therefore evaluated these factors separately and divided the study population into 2 cohorts: (1) children born between January 1, 2001, and December 31, 2004 (school-aged children), and (2) children born between July 1, 2005, and December 31, 2010 (preschool-aged children). We excluded children whose parents moved to Sweden after the child was aged 15 years (who are less likely to have accurate information on medical history, dog ownership, and educational level) and those with incomplete information on parental identity or migration. If one parent’s educational level was known, the other’s was imputed to the value of the first parent. In a sensitivity analysis, we included only first-born children with no paternal half-siblings to address potential avoidance bias in families having older siblings with asthma and reduce the risk of confounding owing to the potential negative effect of older siblings on the development of asthma. In the main analysis, when there was more than 1 child with the same mother within a subcohort, we randomly selected 1 of the siblings to avoid dependency between observations. Furthermore, we tested whether there were differences in the proportion of children whose dog was moved to another setting among children who had or had not developed asthma at ages 1 and 5 years, respectively. For school-aged children, asthma was assessed only during the seventh year of life, and among preschool-aged children from age 1 year throughout the study period, excluding children who fulfilled asthma criteria at younger than 1 year. We explored 4 different outcome definitions: (1) an asthma diagnosis obtained only from the National Patient Register (NPR), (2) asthma medications noted in the Swedish Prescribed Drug Register (SPDR), (3) having both the NPR diagnosis and asthma medications noted in the SPDR, or (4) having either one or both NPR diagnosis and asthma medications noted in the SPDR. We refer to the latter definition hereafter if not otherwise specified. The NPR includes information on discharge diagnoses from all inpatient visits and approximately 80% of all hospital-based outpatient visits. The SPDR contains information on all prescribed drugs dispensed at pharmacies in Sweden since July 2005. Thus, children born in July 2005 or later had complete information from both the NPR and SPDR from birth. The NPR data were available through December 31, 2011, and SPDR data through September 30, 2012. Swedish dog owners have been required by law to register their pet and its unique identification number (from a subcutaneous microchip or ear tattoo) to the Swedish Board of Agriculture National Dog Register since 2001, along with information on the owner’s personal identity number. A dog register held by the Swedish Kennel Club, in which Swedish purebred dogs are registered with their pedigrees since 1889, holds complete ownership details, including the owner’s personal identity number, also since 2001. The proportion of registered dogs was estimated to 83% (95% CI, 78%-87%) in a 2012 survey by Statistics Sweden.16 We defined exposure to dogs as having a parent registered as a dog owner during the child’s whole first year of life. Since information on the death date of the dog was incomplete in both registers, a maximum age of 10 years for the dog was assumed if no information on the deregistration date was available, based on results from a recent survey in which only 12.4% (95% CI, 8.2%-16.6%) of all dogs were reported to be older than 10 years.16 Children whose parents were identified in LISA as “animal producers and related workers, SSYK6121” during the child’s first year were defined as being exposed to farm animals. The SSYK6121 code is derived from the Agriculture Business Register held by the National Board of Agriculture, which is based on surveys of all owners to farming business operations. Most (78%) of the farm labor constitutes the owner or the owner’s family.17 Cattle and sheep are the most common animal types. In a second sensitivity analysis assessing the effect of exposure timing, we used 3 different definitions of dog exposure: (1) children who were exposed to a dog during their first year of life but not their sixth year, (2) children who were exposed both during the first and sixth year of life, and (3) children living with a dog at any time during the first 6 years. Information on residence at birth (municipality), household income, and parental educational level was extracted from LISA. Household income was defined as disposable income the year before the birth of the child and was adjusted for family size and categorized into quintiles by calendar year. Parental educational level was based on each parent’s highest educational level (compulsory school, upper secondary school, and higher education). Data on parental birth country were extracted from the Swedish Register of the Total Population, and parity was derived from the Medical Birth Register. Parental identity was identified through the Multi-Generation Register, and asthma in the parents was based on the same definition as for children, with the addition of asthma codes in International Classification of Diseases, Ninth Revision and Eighth Revision (code 493). Hence, parents were defined as having asthma if they had at least 1 diagnosis or medication criterion fulfilled during the years of available data (from January 1, 1987, to December 31, 2010, for NPR data and from July 1, 2005, to September 30, 2012, for SPDR data). As secondary outcomes, we assessed diagnoses of (1) pneumonia (in ICD-10 code J12-J18) and (2) other lower respiratory tract disease, including acute bronchitis (J20), acute bronchiolitis (J21), unspecified acute lower respiratory tract infection (J22), unspecified bronchitis (J40), and respiratory syncytial virus (B97.4) among preschool-aged children. Data were analyzed from January 1, 2007, to September 30, 2012. We applied logistic regression analysis to estimate the association between exposure to dogs and farm animals during the first year of life and asthma during the seventh year of life in the school-aged children’s cohort. Children were excluded from the analysis if they emigrated or died before age 7 years. In the preschool-aged cohort, we applied Cox proportional hazard models to assess the association between exposure to dogs and farm animals and asthma as well as pneumonia and other lower respiratory tract diseases. Children were censored at emigration, death, or the end of the study period (December, 31, 2011, for NPR and September 30, 2012, for SPDR data). Follow-up of the preschool-aged children started at age 1 year, and events occurring before that were excluded. After plotting the log hazards for exposed and nonexposed children over time, we calculated age-dependent hazard ratios (HRs) (before and from age 3 years) to accommodate a lack of proportionality (eFigure 1 in the Supplement). We fitted unadjusted models and models adjusted for the mother’s age, father’s age, parity, number of parents with asthma, birth municipality, parental income, mother’s educational level, father’s educational level, other animals (dog and farm animal; the model with the dog as an exposure was adjusted for the farm animal and vice versa), mother’s birth country, and father’s birth country. Residence at birth (birth municipality) was modeled with random intercept in the logistic regression and as a frailty effect in the Cox proportional hazards regression model. We selected covariates based on a hypothetical causal diagram (eFigure 2 in the Supplement). We further stratified the analysis by parental asthma status. Children of parents registered as dog owners only for a part of the child’s first year were excluded from the cohort. We used the χ2 test to assess differences in the proportion of dogs moving to different settings between children with and without asthma. All statistical calculations were performed with Stata, version MP 13.1 (StataCorp). Of the 1 011 051 children born during the study period, there were 276 298 individuals in the school-aged children’s cohort (eFigure 3 in the Supplement), including 11 585 children (4.2%) with an asthma event during the seventh year of life included in the meta-analysis. In total, 22 629 children (8.2%) were exposed to dogs and 958 individuals (0.3%) were exposed to farm animals (Table 1). Dog exposure during the first year of life was associated with a decreased risk of asthma in school-aged children (OR, 0.92; 95% CI, 0.86-0.99), and adjustment for potential confounders generated a similar estimate (OR, 0.87; 95% CI, 0.81-0.93). This inverse association was present among children with as well as those without parents with asthma (Table 2). The results remained unchanged when the time window of dog exposure was extended to include exposure anytime during the first 6 years of life and for dog exposure both during the first and sixth year of life (eTable 1 in the Supplement) as well as for alternative asthma definitions (eTable 2 in the Supplement). Furthermore, the sensitivity analysis restricted to first-born children showed similar results (eTable 3 in the Supplement). Exposure to farm animals was associated with a notably reduced risk for asthma in school-aged children (OR, 0.47; 95% CI, 0.30-0.74). Adjustment for potential confounders left the estimates essentially unchanged, and parental asthma did not modify the association (Table 2). There were 376 638 children in the preschool-aged children’s cohort (eFigure 4 in the Supplement) (53 460 [14.1%] exposed to dogs and 1729 [0.5%] exposed to farm animals), of whom 18 799 children (5.0%) experienced an asthmatic event before baseline. For these children we recorded 906 071 years at risk and 28 511 cases of asthma (incidence rate, 3.1 cases per 1000 years at risk) (Table 3). After adjustment for potential confounders, there was no association between dog exposure and asthma among children younger than 3 years (HR, 1.03; 95% CI, 1.00-1.07), but a statistically significant risk reduction was observed for older preschool-aged children (HR, 0.90; 95% CI, 0.83-0.99) (Table 3). We found a lower risk of childhood asthma among children exposed to farm animals compared with those not exposed (HR, 0.69; 95% CI, 0.56-0.84). Parental asthma did not modify the effect of exposure to dogs or farm animals on the risk of asthma in preschool-aged children. The use of alternative asthma definitions did not alter the results (eTable 4 in the Supplement). We found that, among children who developed asthma before age 1 year (not included in the main analysis), the proportion of dogs that moved to different settings was larger than in children who did not have asthma before age 1 year (P = .004) (Table 4). The sensitivity analysis restricted to first-born children showed similar results (eTable 5 in the Supplement). We found an increased risk of pneumonia (HR, 1.13; 95% CI, 1.06-1.20) and other lower respiratory tract diseases (HR, 1.06; 95% CI, 1.00-1.13) among preschool-aged children exposed to dogs. There was no association between exposure to farm animals and lower respiratory tract diseases (eTable 6 in the Supplement). In this large, nationwide, registry-based cohort study, we provide evidence that children exposed to dogs and/or farm animals during their first year of life are at a reduced risk of childhood asthma at age 6 years. The results were robust and independent of parental asthma or whether the child was first-born. Previous studies on the association between early exposure to dogs and childhood asthma have shown contradictory results. Two systematic reviews5,6 based on published cross-sectional, case-control, and cohort studies found pet keeping to be associated with a slightly increased risk of asthma. However, a systematic review18 of some urban prospective cohorts showed a reduced risk in dog-exposed children and other prospective studies have reported no association or a reduced risk of asthma and allergy among children in families of dog owners.9,10,19 The heterogeneity in the previous results could be because of differences in study design, study population, age at outcome measurement, and covariates included as potential confounders. In an attempt to resolve some of these issues, a meta-analysis3 of 12 cohorts with a total of 17 499 (8.2% dog owners) children indicated an inverse, although not statistically significant, association between early exposure to dogs and subsequent diagnosis of asthma at age 6 to 10 years (OR, 0.77; 95% CI, 0.58-1.03). Thus, by using registry-based defined exposure and outcome, as well as benefitting from a 10-fold larger sample size, the present study could confirm the results of the meta-analysis. Similar to findings in a previous Swedish study,20 the proportions of dog owners among parents with and without asthma were comparable in our study, relieving concerns about selection of dog ownership based on parental asthma. We found that, in families whose children developed asthma, the proportion who sold their dog was larger than among families whose children had not developed asthma. In an attempt to account for the possibility that families with asthma in older siblings avoid dogs, we also reanalyzed the data including only first-born children and noted comparable results. The reduced risk of dog exposure on childhood asthma was found in children with as well as those without parental asthma; although the risk was more prominent in parental asthma, there was no statistically significant difference between the strata. Our findings are in accordance with the hygiene hypothesis, which links a favorable maturation of the immune system with exposure to microbes in childhood.21,22 It has been shown that dog exposure is associated with altered bacterial flora in house dust23 and that mice exposed to such dust have alterations in their gut flora composition, as well as fewer allergic reactions.24 We did not find an association between dog exposure and asthma in children younger than 3 years. Incident asthma in preschool-aged children is a mixture of asthma phenotypes that are often induced by airway infections and will later become either remittent or persistent disease. In school-aged children, prevalent asthma is more likely to be persistent and more commonly associated with allergy. In a secondary analysis, we found that preschool-aged children exposed to dogs were at an increased risk of pneumonia and other respiratory tract diseases. Several case reports have reported that immunocompromised humans may acquire respiratory tract diseases from their dogs with agents such as Bordetella bronchiseptica,25Pasteurella multocida,26 or Mycobacterium bovis,27 and the increased risk in dog-exposed children in our study could be caused by infections with zoonotic agents. If the association between dog exposure and respiratory tract infections is causal, it may also be part of the explanation of the difference across age in the association of dog exposure and asthma in preschool-aged children because early wheezing correlated with viral infections may be diagnosed as asthma. Childhood asthma is a heterogeneous disorder; although many preschool-aged children who have wheezing do not have asthma at later ages, wheezing that persists beyond the third year often continues into adulthood.28 We speculate that dog exposure may increase an infant’s overall exposure to microorganisms and allergens, some of which increase the risk for respiratory tract infections and others that modulate the immune system in such a way that decreases the risk of allergy-related asthma in school-aged children. Our data confirm earlier findings of a strong inverse association between exposure to a farming environment and the risk of childhood asthma. A meta-analysis13 based on data from 39 studies on farming and childhood asthma showed a 25% risk reduction among the exposed children, although with large heterogeneity between studies. Differential effect estimates have been shown29,30 for different farm types, indicating a decreased risk of asthma and allergic disease in children exposed to raw farm milk. In the present study, however, we could not disentangle dairy and nondairy farms, although nearly all farms report that they have bovines. Most farms are run as family businesses, but there is some misclassification in our definition of “farm animal exposure” for children whose parents work on farms not located close to their home, which would probably yield an underestimation of the farm effect. The low proportion of animal farmers in the present study is expected when compared with national reports indicating that 1.9% of the total Swedish population in 2013 are employed in farming, and that 53.8% of these farmers specialize in crops. Several researchers have suggested that the decreased risk of asthma observed in some studies of farmer’s children may reflect a “healthy farmer effect,”31 which implies that persons with asthma or atopy symptoms may self-select out of farming. However, in the present study and in other previous studies,31 the results have been consistent when adjusted for parental asthma in multivariable models. To our knowledge, this prospectively designed study is, to date, the largest, allowing for stratification on parental asthma. We also had access to prospectively collected information on a rich set of possible confounders. The registry-based asthma outcomes were objectively assessed and have previously been validated and found to be specific.15 We identified robust estimates across different definitions of asthma and dog exposure. Thanks to the population-based design, our results are generalizable to the Swedish population and probably also to other European populations with similar culture regarding pet ownership and farming. Our study has a few potential limitations. First, this registry-based investigation did not contain details on asthma phenotype or information on allergic sensitization. Hence, we could not stratify analyses on parental allergy. Regardless of phenotype, however, the results indicate a nonnegligible influence of animal exposure on the incidence of asthma. Second, dog registers include only approximately 80% of the total dog population in Sweden. General underreporting would, however, yield just a conservative estimate of the true association if the underreporting is not differential with regard to asthma and conditional on the covariates. However, less reporting of dog ownership in the lower socioeconomic groups with higher asthma prevalence32 could lead to an overestimation of the inverse association if the adjustment for socioeconomic factors is insufficient. However, if anything, stronger associations were observed in the fully adjusted models, relieving such concerns. Moreover, we could not account for exposure to animals outside the home or visiting dogs. Third, the information on the dog’s death date was incomplete, which may have introduced nondifferential misclassification, assuming that asthma among children of dog owners should not be associated with death of the dog, with dilution of effect estimates as a result. Fourth, the inpatient records did not have nationwide coverage until 1987, and the outpatient records have a coverage of more than 80%.33 Thus, some cases of parental asthma may have been missed. Analyses using both the NPR and/or the SPDR rendered similar results, which largely alleviates concerns regarding this type of missing data. Finally, given the available health registers, we could study school-aged children only during their seventh year of age, leaving children at older ages unevaluated. For what we believe to be the first time in a nationwide setting, we provide evidence of a reduced risk of childhood asthma in 6-year-old children exposed to dogs and farm animals. This information might be helpful in decision making for families and physicians on the appropriateness and timing of early animal exposure. Corresponding Author: Tove Fall, PhD, Department of Medical Sciences, Room BMC E10, Molecular Epidemiology and Science for Life Laboratory, Uppsala University, PO Box 1115, 751 41 Uppsala, Sweden (tove.fall@medsci.uu.se). Accepted for Publication: September 9, 2015. Published Online: November 2, 2015. doi:10.1001/jamapediatrics.2015.3219. Author Contributions: Drs T. Fall and Amqvist had full access to all the data in the study and take responsibility for the integrity of the data and the accuracy of the data analysis. Study concept and design: T. Fall, Lundholm, K. Fall, Fang, Kämpe, Ingelsson, Almqvist. Acquisition, analysis, or interpretation of data: T. Fall, Lundholm, Örtqvist, Fang, Hedhammar, Ingelsson, Almqvist. Drafting of the manuscript: T. Fall. Critical revision of the manuscript for important intellectual content: Lundholm, Örtqvist, K. Fall, Fang, Hedhammar, Kämpe, Ingelsson, Almqvist. Statistical analysis: T. Fall, Lundholm, Örtqvist, K. Fall, Fang, Almqvist. Obtained funding: T. Fall, Almqvist. Administrative, technical, or material support: Lundholm, Fang, Kämpe, Ingelsson. Study supervision: Hedhammar, Kämpe, Almqvist. Conflict of Interest Disclosures: Dr Almqvist reported receiving grants from the Swedish Research Council, Stockholm County Council (Avtal om Läkarutbildning och Forskning [ALF] project), Strategic Research Program in Epidemiology at Karolinska Institutet, and the Swedish Heart Lung Foundation during the conduct of the study. Dr T. Fall reported receiving grants from Bror Hjerpstedts stiftelse and Tore Nilssons stiftelse during the conduct of the study. Dr Kämpe reported receiving grants from the Swedish Research Council, Formas Research Council, Torsten & Ragnar Söderberg Foundation, and NovoNordisk Foundation during the conduct of the study. There were no financial relationships with any organizations that might have an interest in the submitted work during the previous 3 years. Dr Kämpe reported being a shareholder of BioCistronix AB, outside of the submitted work. No other conflicts were reported. Funding/Support: Financial support was provided by grant 2011-3060 from the Swedish Research Council (Dr Almqvist); grants 80748301 and 340-2013-5867 from the Swedish Research Council’s funding program Swedish Initiative for Research on Microdata in the Social and Medical Sciences framework (Dr Almqvist); grants 520344, 530422, and 541322 provided by the Stockholm County Council (ALF-project) (Dr Almqvist); the Strategic Research Program in Epidemiology at Karolinska Institutet (Dr Almqvist); grants 20100633 and 20120480 from the Swedish Heart Lung Foundation (Dr Almqvist); Bror Hjerpstedts stiftelse (Dr T. Fall); and Tore Nilssons stiftelse (Dr T. Fall). Correction: This article was corrected on November 12, 2015, to fix Dr K. Fall’s affiliation.